The goal of this site is to facilitate the dissemination of information related to sound water management practices in Puerto Rico and the Caribbean Region. 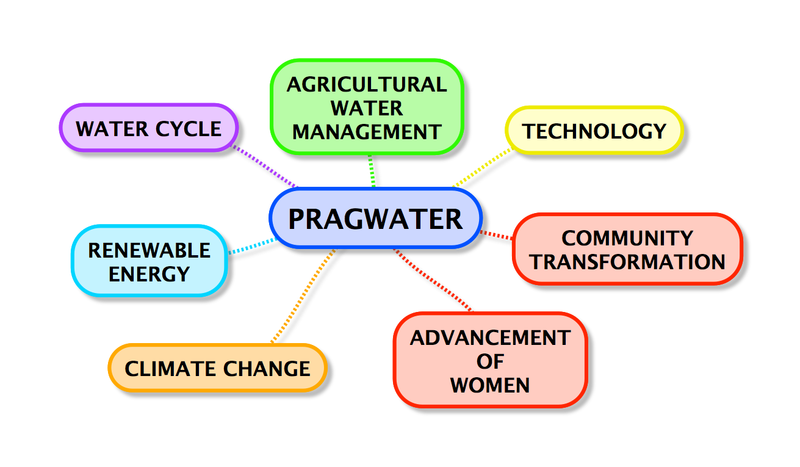 Pragwater.com also aggressively promotes the development of human resources, the advancement of women, community transformation, and the application of renewable energy sources. This site is administered by Dr. Eric Harmsen (contact info). Dr. Harmsen is a professor in the Department of Agricultural and Biosystems Engineering, University of Puerto Rico-Mayagüez Campus. Pragwater.com is not affiliated with the University of Puerto Rico. You really make it appear really easy with your presentation but I find this topic to be really something that I believe I would never understand. It seems too complicated and extremely broad for me. I am looking forward in your subsequent submit, I?ll try to get the cling of it! Thank you for this comment. Yes, there is quit a bit work that goes into plotting the solar data over an entire country or island. We use MatLab to process the data and for creating the images. However, if you are only interested in the solar radiation at one location, it would be relatively easy to get the data based on the latitude and longitude of your site. The data for the site could be obtained for a period of time (e.g., 1 month or 1 year), and then could be entered into a spreadsheet for analysis. Over the next few weeks I will try to develop a blog to address your concern. I will try to include a step by step “how to” document with examples and screen shots. I assume that your comment related to the use of the solar radiation data. I later noticed that you posted your comment on the main page of PRAGWATER, and so I am not sure that you were in fact referring to the solar data page, or some other page of our website. Please clarify. Thanks. 1. Mix the coffee with water and boil 2 minutes. 2. Strain the coffee in coffee sock. 3. In a cup, combine brewed coffee with milk. 4. Add sugar to taste. Thanks for your post on how to make Puerto Rican coffee. I would like to suggest that you also post this comment on the following two pragwater posts directly related to coffee production in Puerto Rico. This way, more people interested in this topic will see your comment. friends on twitter. I personallysimply just wished to distributed your very good posting! Sound water practices! Wow! I see so much wastage here in DR. It saddens me as much as the refuse littered EVERYWHERE. I’ve never seen people waste so much water or throw so much waste. But, I still love my adoptive country. Thank you for following my blog.